Its like the song is now interesting to hear as Samsung finally promise to announce it long time foldable phone on February 20. So that mean Samsung is launching two smartphone at the same time as teaser has formerly revealed that Galaxy 10 will also be unveil. There's no need to talk about S10 for now as we've brought to you in the previous post, even we've also brought to you the features with foldable phone but not into detail, here is what it offer for as many that will love to buy. The upcoming foldable phone will be the most amazing phone of the year, stating the reason why its so. When folded, the screen is 4.3 inches with a resolution of 1960x480, and it becomes a 7.3-inch 2152x1536 display when unfolded. Samsung hasn't really revealed much about the rest of the device, but it looks like that'll change next month. Why do we really sure that we'd going to have it? 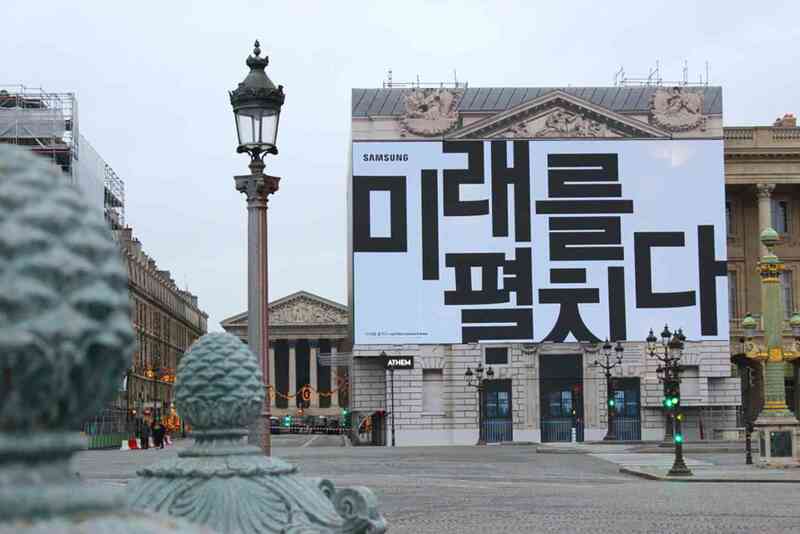 Though we've not been too sure but we have never see Samsung being failed in their promises so we're really keying into that according to the billboards written in Korean letters and, when translated, say "The future unfolds" and "February twentieth".